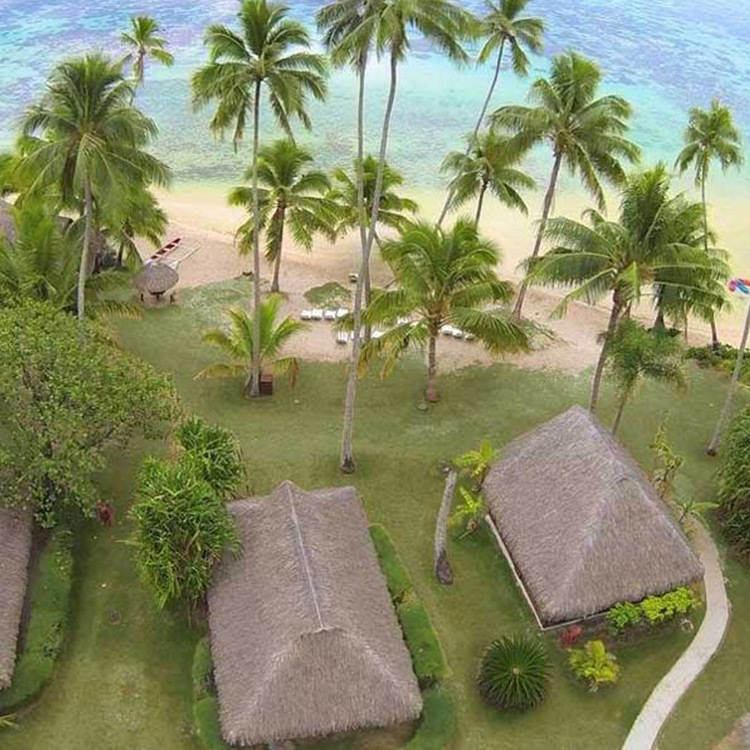 Basic bungalows, helpful staff, beautiful beach for snorkeling. Upon arrival on Moorea by boat, you can make you way to our Accommodations either by taxi, rental car or by public bus that provides service throughout the island. The rooms can accommodate up to four people, while the superior category can sleep six. Some include a fully equipped kitchen, making this a great option for groups or families. The interiors are bright and airy with tropical fabrics and exotic woods. The hotel features a daytime restaurant with fantastic views and an Italian restaurant open nightly. Both are popular with local residents. Free WiFi and equipment such as outrigger canoes and bicycles are available for all hotel guests.